Pinterest has exploded into the social media scene, with an over 85% increase in users from January to March of 2012 alone. With its huge success, unique style, and pinboard-like user experience, it instantly inspired an incredible number of clones. Travel sites always tend to be visual, so the social sharing style of Pinterest is perfect for sites that are all about travel. 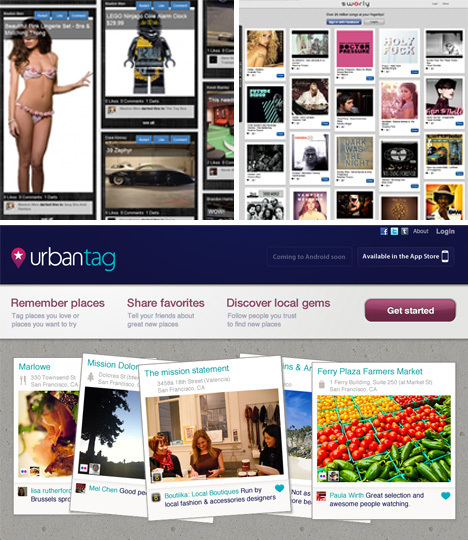 Trippy, UrbanTag, Gtrot, and Wanderfly are all examples of this new phenomenon. Some are striving to hit a more local market, while others help people plan for globetrotting expeditions. 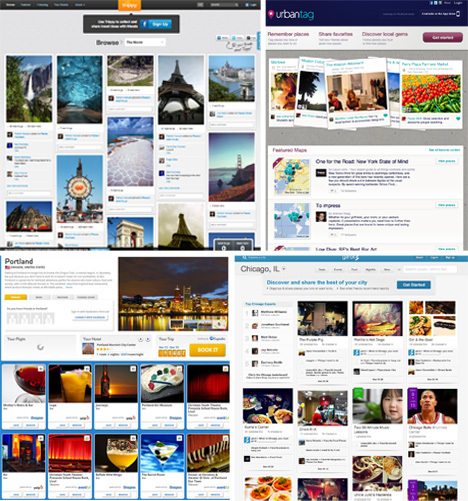 All of them have expanded on the simplicity of Pinterest’s style to bring a more focused experience. 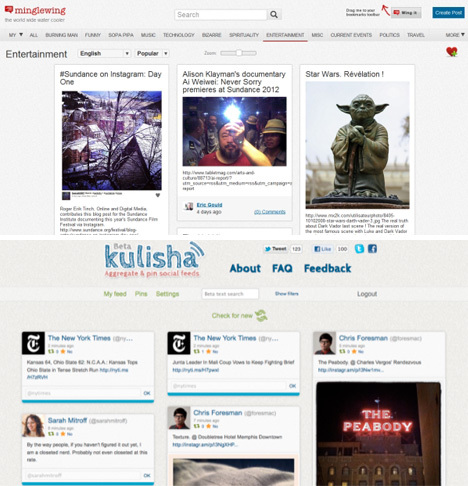 The sites Minglewing and Kulisha are discussion sites loosely based on the Pinterest style. Minglewing describes itself as “the world wide water cooler” and encourages civil discussions on a wide variety of subjects, while Kulisha helps users aggregate info from social feeds into one super page. 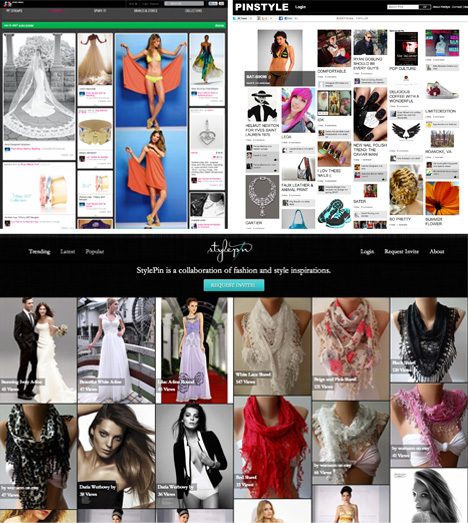 All of the new sites cropping up are more niche than their Pinterest inspiration, but their niches are wide-ranging. For example, foodies might love IWannaNom, whereas TheComplete.Me appeals to singles who are looking for possible dates. 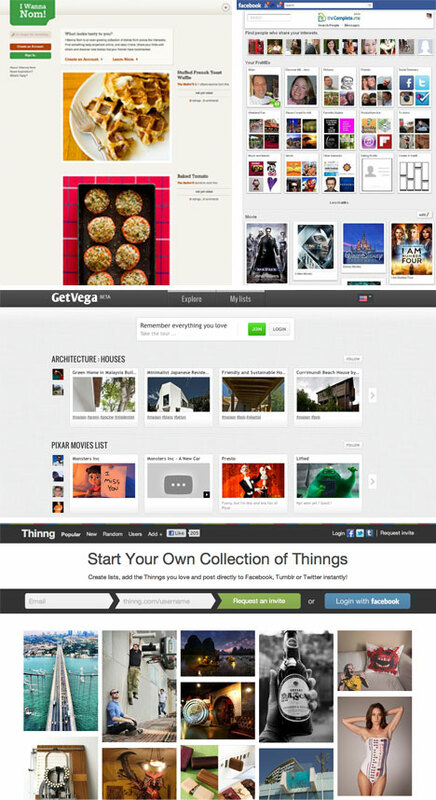 GetVega is targeting people who love lists and Thinng concentrates on the products and tangible aspects of one’s life. 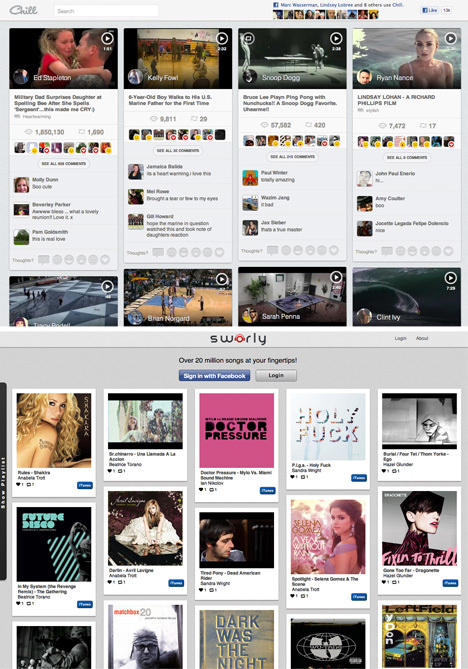 Video site Chill brings the visual aspect of the pinboard to a new level, while Sworly brings it into an entirely different dimension, by allowing people to share and listen to a huge variety of music. Fashionistas unite! For the fashion-conscious who want to cut out everything that doesn’t involve personal style on Pinterest, SparkRebel is a great destination. The aptly named PinStyle and StylePin give an obvious ode to their inspiration, while targeting fashion lovers with a laser focus. A lot of guys complain that Pinterest is clearly meant to appeal to women, as pins tend to center on wedding, design, and fashion. As more guys join the site, this is likely to change. 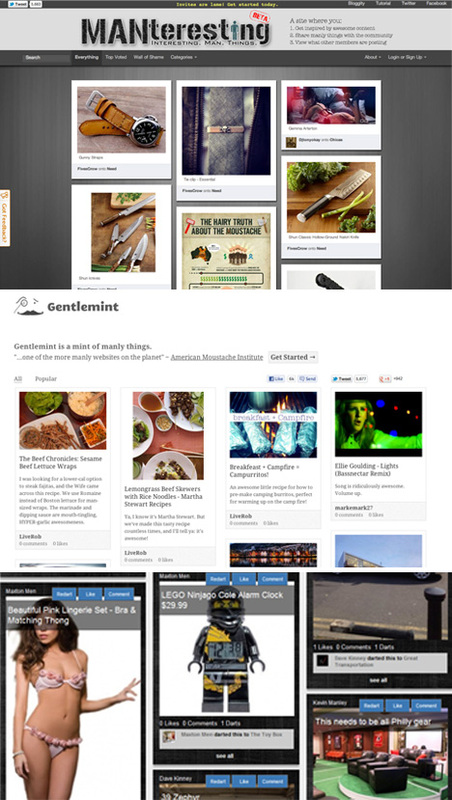 For those who are not as patient, there are plenty of sites waiting in the wings: Manteresting, GentleMint, and DartItUp are all guaranteed to appeal to dudes.